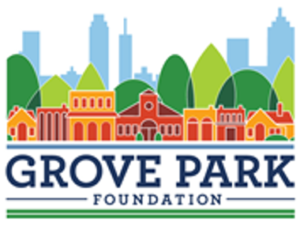 The Grove Park Foundation’s mission is focused on improving the quality of life in distressed neighborhoods particularly through the Grove Park Initiative. The Grove Park Initiative goal is to break the cycle of poverty by delivering a cross-sectorial intensive set of school, housing, wellness, and other investments focused in one neighborhood. Curry Davis Consulting Group is responsible for: ensuring efficient and streamlined execution of the GPF’s Project plans, building and managing partner relationships, ensuring progress towards GPF’s Goals, coordinating meetings and the creation of external communications. 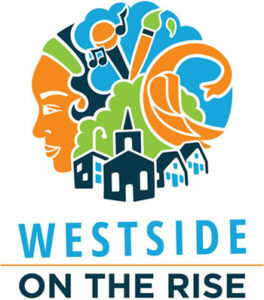 The Arthur M. Blank Family Foundation, in partnership with The Equifax Charitable Foundation, formed the Westside Economic Inclusion Collaborative (WEIC) to ensure a strategic focus on Westside residents being connected to workforce and business development services and financial education. CDCG oversees all aspects of goals/strategies execution comprised in the three year WEIC Strategic plan. As the Project Manager for the WEIC, we are leading efforts to implement strategies in the areas of Financial Well-being, Small Business/Entrepreneurship, and Economic Development. CDCG is responsible for: establishing working groups to execute WEIC Year One Goals and Strategies; managing the implementation of the WEIC plan; and maintaining positive relationships across the complex ecosystem of the Westside. 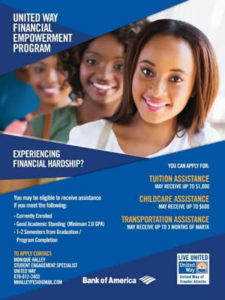 The Financial Empowerment Services (FES) Cash Assistance Program is a program funded by United Way of Greater Atlanta (UWGA) in partnership with Bank of America to support students experiencing financial hardships, which may prevent them from graduating. CDCG works with UWGA to operate the Financial Empowerment Services Program at 5 community colleges and in partnership with a workforce training collaborative. CDCG is responsible for ensuring efficient and streamlined services while successfully managing the ongoing operations of the FES Program, through: program management, student engagement and data management/analysis. 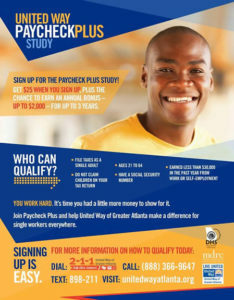 United Way of Greater Atlanta (UWGA) is partnering with a National Research Firm, MDRC, to implement and evaluate Paycheck Plus, a pilot program to simulate an expanded Earned Income Tax Credit (EITC) for low-income single workers without dependent children. UWGA contracted Curry Davis Consulting Group (CDCG) to manage the launch and implementation of the project, which included the development of the marketing and outreach strategies to enroll 4,000 individuals within 6 months, partnership development with the Department of Human Services’ Office of Child Support and other Community Based Organizations, hiring and managing the engagement team members, and serving as the liaison for MDRC. CDCG also created an effective system to manage the dispersal of bonus payments to more than 2,000 program participants each year over a 3-year period. The impending results of the Paycheck Plus Study could impact how EITC is applied to single tax filers in this country; therefore, CDCG is proud to be a part of such a monumental project. 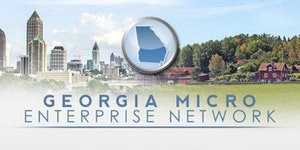 Metro Atlanta eXchange for Workforce Solutions (MAX) is a collaborative network formed to strengthen connections and promote information sharing among workforce development stakeholders in Metro Atlanta. MAX’s purpose is to be a catalyst to improve the competitiveness of the Metro Atlanta Workforce, while sustaining and growing a robust economy throughout the region. As the Project Management Team, CDCG was brought on temporarily (March 2015 – December 2015) to staff the MAX Steering Committee, which included executive leaders from the Atlanta Federal Reserve, Governor’s Office of Economic Development, Metro Atlanta Chamber, Technical College System of GA, The Community Foundation for Greater Atlanta, Annie E. Casey Civic Site, and the Workforce Development Boards in metro Atlanta to name a few. CDCG also assisted in the coordination of the MAX Strategic Planning process, coordinated MAX events, and the creation of external communications, which included web content, newsletter creation, and public presentations on MAX. 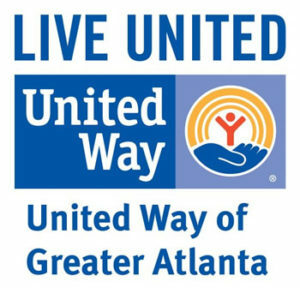 Making Wages Work (MWW) is a financial education and coaching program, which United Way of Greater Atlanta (UWGA) designed to address the lack of easily accessible financial education in the Atlanta Promised Neighborhoods (APN). Making Wages Work focused on reaching 1,000 families in the APN, whose income is less than $35,000 per year, with a goal of 20% receiving one-on-one coaching. UWGA contracted Curry Davis Consulting Group to conduct the evaluation of the program’s effectiveness. The evaluation of MWW included both process and outcome based evaluations to: better determine the impact of the program for participants; document that the project objectives were achieved; provide information about service delivery that will be beneficial to program staff; and enable program staff to make changes that improve program effectiveness. 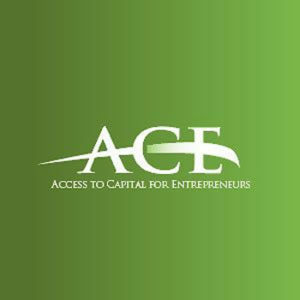 Access to Capital for Entrepreneurs (ACE) is a Community Development Financial Institution (CDFI), non-profit community lender with a focus on providing economic stability for low to​ moderate income small businesses through: a micro and commercial loan program, business advisory service​s, & various strategic initiatives. Curry Davis Consulting Group (CDCG) worked with ACE to promote their Healthy Food Finance Initiative (HFFI) and to launch their Women Investing in Successful Entrepreneurs (WISE) Initiative as part of ACE’s Clinton Global Initiative commitment. As the project team for HFFI and WISE, our responsibilities included creating a brand for WISE​, staffing​ an advisory council, and providing guidance and strategic direction for all phases of the ​WISE Initiative, including but not limited to: planning; program development; implementation; evaluation; and sustainability assessment. CDCG is also responsible for creating WISE’s signature annual Speed Coaching Event. Speed Dating with an entrepreneurial twist! Allowing women business owners to meet one-on-one with successful business leaders and expert coaches to discuss strategies and solutions that are right for their businesses. Structured Employment Economic Development Corporation (Seedco) is a national non-profit with a mission to advance economic opportunity for people, businesses, and communities in need. 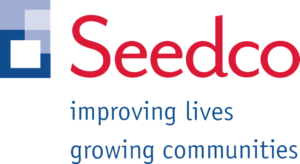 Seedco works to advance community economic development through workforce development, work and family supports, and employer and small business services. ​ Curry Davis Consulting Group (CDCG) assisted with the promotion of & increased accessibility to the Affordable Care Act (ACA) enrollment services in rural Georgia counties outside of metro Atlanta. In this role, CDCG developed communications strategies to market ACA in targeted regions around the state and created partnerships with key hospital systems & stakeholders in the region. CDCG provided ongoing management of six sub-grantees to assist with the implementation of ACA strategies. The Fresh Start Program was a temporary project through the American Recovery and Reinvestment Act (ARRA) which provided emergency assistance to families in crisis through one-time payment assistance of up to $3,000 total for utilities, rent, or mortgage. Over a six-month period, the Fresh Start program served nearly 17,000 families at a rate of $20.5 million​ dollars. As the Project Management team, ​ Curry Davis Consulting Group ​assisted with the development of the Fresh Start program service delivery model across the state of Georgia. We worked with the UWGA and Department of Human Services leadership team to​: develop strategies to improve access to Fresh Start services; develop​ ​agency partnerships; manage​ the hiring process for internal teams; coordinate access events across the state; develop ongoing reports for the funder​; and co-manage over one-hundred employees. 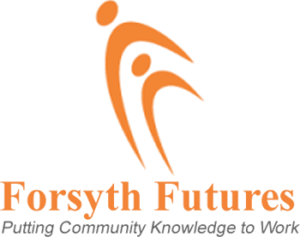 Forsyth Futures is a non-profit organization that launched an initiative in 2006, ​which focused on providing objective data to the​ surrounding​ community. It served as a catalyst for conversation and bringing stakeholders together to address key areas such as economic self-sufficiency, community engagement, education, etc. Our Principal Consultant, Karen Davis, served as the Project Director with a charge of working with key leaders and​ stakeholders to develop the strategic and operational plan for the Forsyth Futures Community Collaborative. Additionally, our team assisted with: the development and coordination of strategy teams for Forsyth Futures primary impact areas; the development of communication strategies for the release of a large-scale community data report for the primary impact areas; mapping community assets to identify duplication; organizing and convening regular stakeholder meetings; and staffing all strategic action teams to ensure progress towards the primary impact areas’ objectives. Coordinated close-out activities for the Partners Advancing Childhood Education Initiative. Identified and coordinated relevant activities for the Parents As Teachers group, coordinated leadership training meetings, and provided on-going engagement with community partners. Served as Campaign Director for the Feeding for a Promising Future – No Kid Hungry Campaign. Working with Governor Nathan Deal’s Office, we launched the No Kid Hungry awareness campaign for child hunger issues in Georgia and created space for collaboration among major stakeholders like state nutrition program administrators to increase overall access to USDA nutrition reimbursement programs that promote feeding children. Contracted to do an analysis of the Annual GMEN Conference planning procedures. Using attendee feedback and research to create a plan to improve systems for future conferences. Contracted to research and generate spreadsheets on the poverty levels in Georgia and generated a report on the up and coming green industries as part of the research needed for a grant proposal.